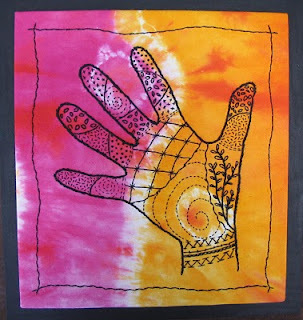 I've used my hand as inspiration for several pieces, mainly because I can't draw but even I can manage to draw round my hand, just like we all used to do when we were kids. This first image is a machine embroidered piece I did quite a while ago as a mini quilt and which I've always been pleased with. 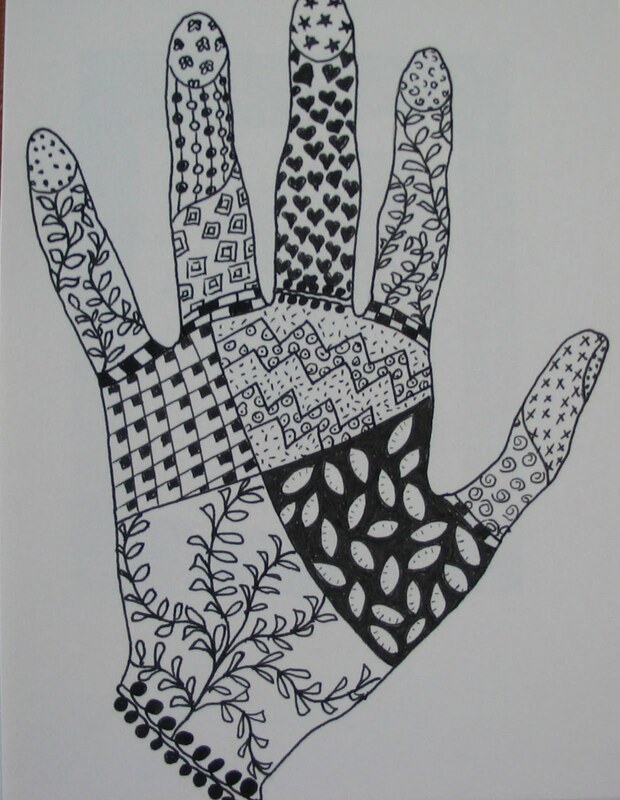 I then decided to use my hand as a shape to fill in with zentangles and this is the result. I really enjoyed doing this, I made it up as I went along rather than drawing it on paper first and copying, I just used a disappearing marker pen to draw lines as I was about to stitch them. 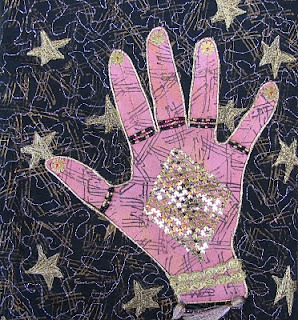 Then, on Chris Gray's blog herehttp://chris-gray-textile-art.blogspot.com/2010/05/on-roll.html (always inspiring, love what she does) she had a link to the Henna page which is a wonderful resource full of patterns used in henna designs on hands. 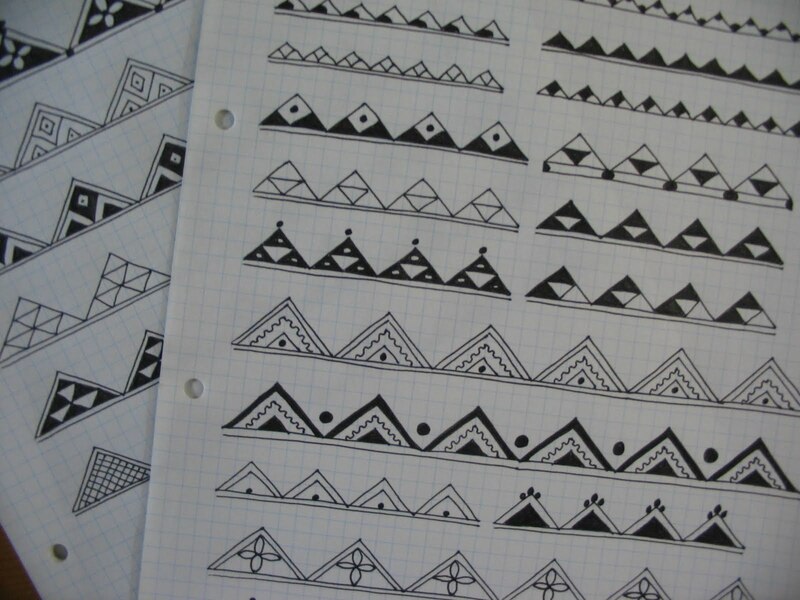 Like Chris I particularly liked the North African designs and I spent a wonderfully relaxing evening yesterday in front of the tv drawing triangles. Don't these look great! 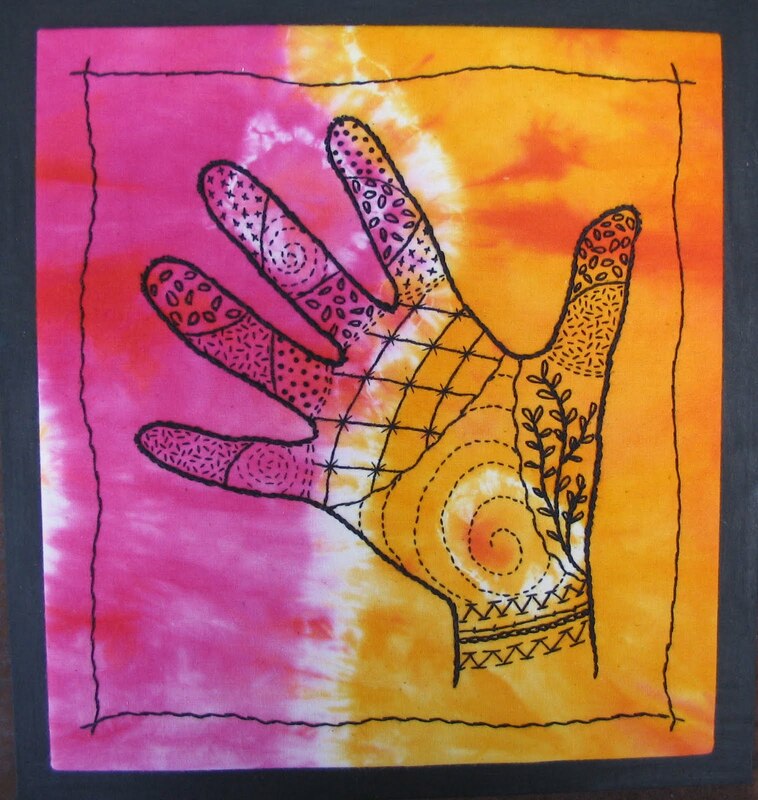 The patterns are all broken down to their simplest elements then you add more detail each time to get to the more complex designs. Drawing for dummies! 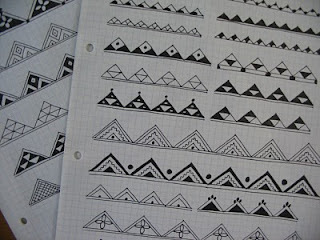 So I'm on a roll now and considering how I can stitch these triangles into a band sampler on canvas .... I love it when all these random inspirations come together.